In October 2018, we announced that Oma Lee is the winner of the YCW of the Year award! Oma was nominated for her outstanding work in China’s nonprofit world. She served as a senior analyst at the China Philanthropy Research Institute at Beijing Normal University, where she was part of an extraordinary team that supported government efforts to formulate and implement regulations for local and foreign non-governmental organizations (NGOs). Through this work, their team had input into the Chinese law that now governs NGOs operating in China. Her work has facilitated NGO registration and operations in a changing environment. Oma was also a Richard Rockefeller Fellow with the Rockefeller Brothers Fund in New York. Young China Watchers (YCW): How are you hoping to make a difference to China’s philanthropy sector? 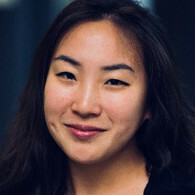 Oma Lee (OL): I don’t think it’s just about me, as an individual, making a difference; social change happens when a collective of change-makers work together and with their communities day after day, month after month, year after year. Regardless of what I do in the future, I will continue to keep my head in the game and champion, support, and build bridges for China’s NGOs’ success. There are many exciting new trends emerging in China—impact investing, online giving, the setting up of social enterprises, etc. I want to drive the building of a social impact community around these initiatives in the future. It is a tremendous privilege to contribute to the development of a more robust philanthropic sector that can sustainably grow, scale, and be impactful in China. YCW: Through your philanthropy work and your experience in Mainland China, Hong Kong and the U.S., how are you personally seeing cultural, language and personal boundaries being broken down? What benefit is this bringing to both China and the rest of the world? OL: Having an open attitude is key. It’s important to first realize that issues are rarely black and white, and that progress requires understanding a broad spectrum of nuances that will then allow stakeholders to agree on a mutual course of action. Practical solutions cannot be reached when we see a system as monolithic—and therefore boundaries can only be broken when we are open to different perspectives. China is not going anywhere, and it’s more important to stay open-minded, engaged, and connected with people on the ground. Progress is about finding like-minded, practical people who share common goals and work together by changing contexts. There is always space for communication and progress, and it’s important to always identify and keep these communication spaces as open as possible, utilizing those spaces effectively to push for progress. YCW: While serving as a Senior Analyst at the China Philanthropy Research Institute (CPRI), your team supported government efforts to formulate and implement regulations for local and foreign NGOs. How have these new regulatory frameworks changed how non-profits now operating in China? OL: With any new regulatory framework comes increased accountability. Stakeholders are now able to use more legal tools and arguments to hold various actors (whether it’s regulators, NGOs, donors, citizens, etc.) accountable. We are only able to look at how these laws and regulations affect NGOs right now; most people are still trying to figure out how these regulations are implemented and how to comply. We will have to see how these regulations play out in the long-term. YCW: Beijing Women’s Network (BWN), which you co-founded in May 2015, organizes events across five chapters: Professional Development, Healthy Living, Applied Skills, Pregnancy, Marriage and Motherhood, and Spotlight Dinners. From your experience working in Beijing, what were the obstacles being a female career professional faced by Chinese women, which might overlap or contrast with international women? Are movements like #MeToo changing things for the better? OL: I think we all face similar challenges, and many have spoken out on this issue. The #MeToo movement has definitely pushed the issue into the spotlight. The point I want to bring out here is the importance of community building. It’s impossible to overcome these systemic barriers alone. I think women everywhere should lean on each other by growing, connecting and thriving together. If you have the capacity to reach out to others, please do. I also ask that people seek to understand first, and judge second—women are already judged enough by society, and we cannot afford to do it to each other. YCW: What is the most exciting and rewarding work you have done to date? OL: As part of my work at CPRI, I observed that foreign NGOs (FNGOs) were struggling to register under the new Foreign NGO Law. Having previously worked at a FNGO, I understood the challenges FNGOs faced, and thus worked to leverage CPRI as a bridge-building platform and help launch a portfolio of FNGO support programs. I was part of an extraordinary team that supported government efforts to formulate and implement regulations for local and FNGOs and helped FNGOs and authorities understand each other’s challenges. Our work facilitated FNGO registration and operations in a changing environment. YCW: Many of our readership are young professionals within academia, journalism, law, media, non-profits, think tanks and business with an interest in China. What advice can you give them to really understand China more beyond their work environment? How can they strengthen their knowledge about China and its evolving interactions with the world? OL: Just go to China; go for vacation, go to study abroad or go for work! Have an open mind and talk to as many Chinese friends as you can. Get in touch with friends on the ground, ask them to organize lunches, dinners, coffees to meet new people! No one can say no to a willingness to learn. Don’t just accept what you read or see in the media—keep asking questions and seek out first-hand experiences.